Heading to the beach or pool? 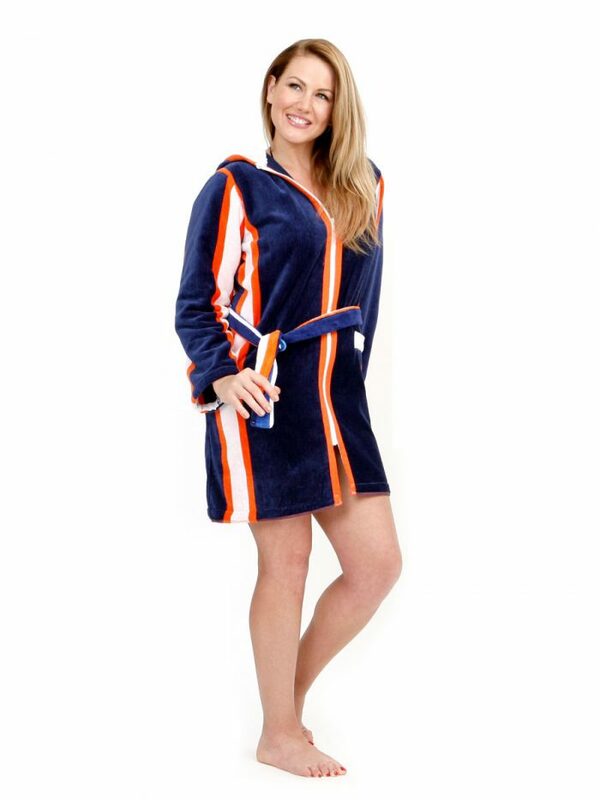 This beautiful towelling coverup fits & flatters and is the perfect accessory to get you there and back in style & comfort. 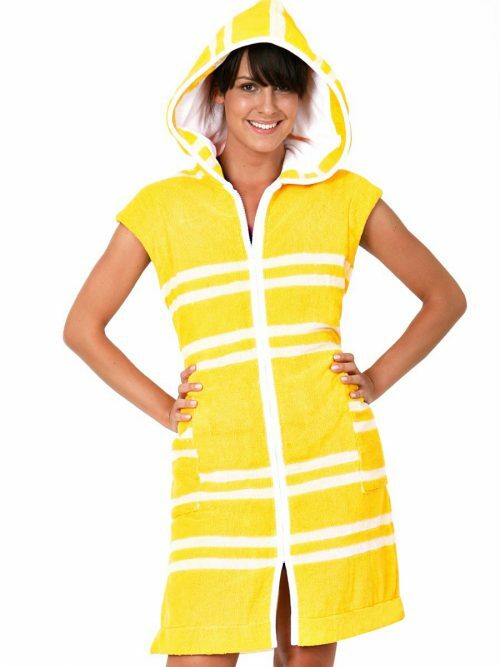 It looks fantastic on and is also a highly functional garment for water activities. 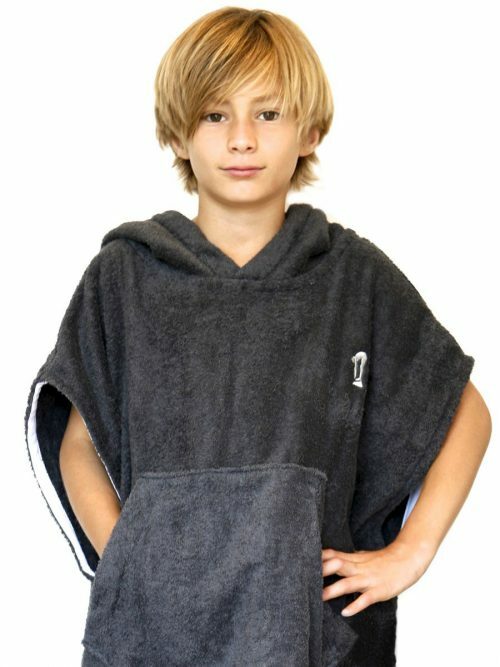 Made from thick & absorbent 100% cotton towelling it will dry you, warm you and cover up in one. 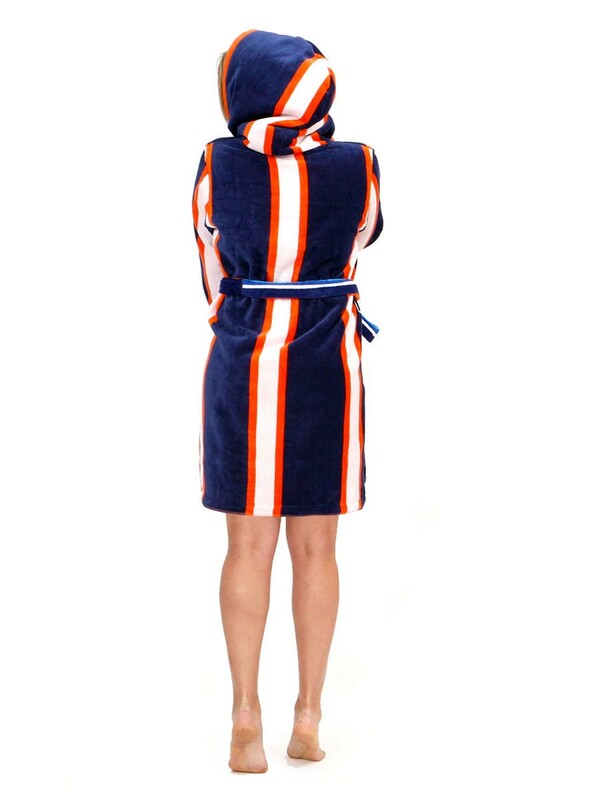 This design in navy with striking vertical white & orange stripes. Specifically it has: • A long A-line sweep for freedom of movement • Long sleeves with comfortable armholes • Full length zip-front for easy on & off • Vertical stripes • Soft towelling fabric that never clings or catches • Adjustable waist belt for shape and styling Other fantastic features of these plush coverups include: a handy zip pocket for keys and coins, a luxurious oversized lined hood, fully covered internal seams and machine washable fabric. 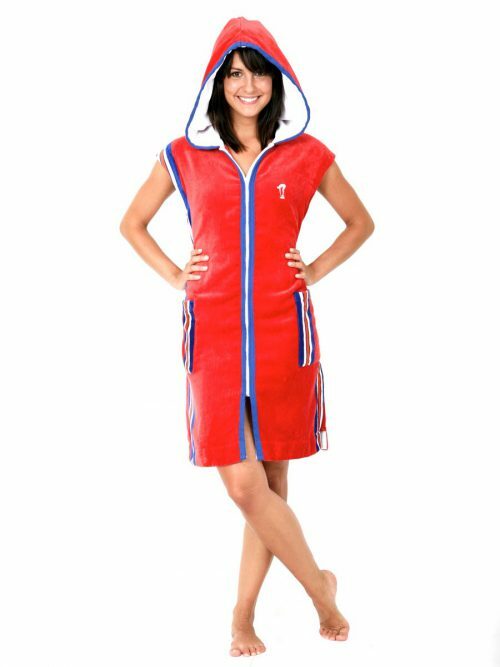 Perfect for ocean and pool swimming, water aerobics and other water classes, as well as days at the beach or on the cruise. It serves not only as a great coverup but as a great towel also. A highly versatile swim garment that will soon become your a wardrobe favourite. Available in the following plus sizes for women: L (14), 1XL (16-18), 2XL (18-20), 3XL (20 to 22). 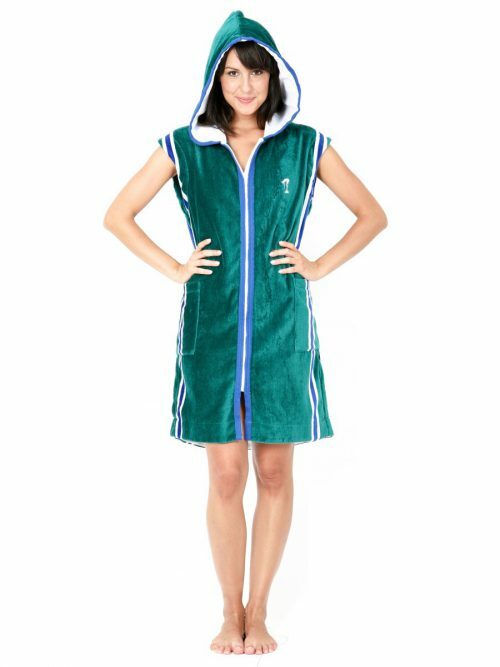 Other fantastic features of these plush 100% cotton coverups include: a handy zip pocket for keys and coins, a luxurious lined hood, fully covered internal seams and machine washable fabric. Once you try this beautiful cover-up you wonder why you didn’t find one earlier. 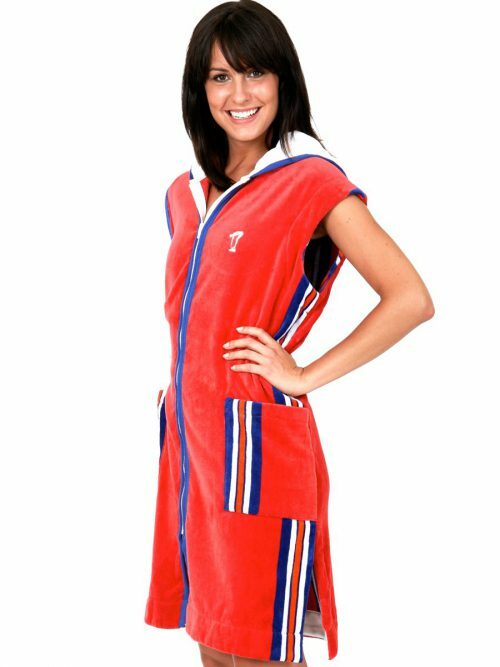 Perfect for ocean and pool swimming, water aerobics and other water classes, as well as days at the beach or on the cruise. It serves not only as a great accessory but as a great towel also. A highly versatile garment that will soon become your a wardrobe favourite. Available in the following plus sizes for women: L (14), 1XL (16-18), 2XL (18-20), 3XL (20 to 22). What customers love about this plus size coverups? Customers love the great fit and how functional it is for trips to and from the water.